Tampa, Fla. (March 31, 2019) – FOX Sports Sun, the exclusive television home of the Tampa Bay Rays, announced the Rays vs. Colorado Rockies game on Monday, April 1 will be televised on FOX Sports Florida. The game will not be available to cable subscribers in the Orlando television market. Additionally, Dish Network will not be able to carry the game due to capacity issues. 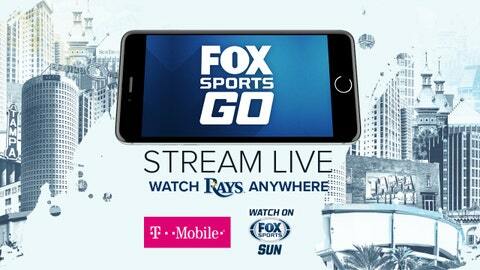 No matter where Rays fans are in Florida, the game will be available to all satellite and cable subscribers on FOX Sports GO and www.foxsportsgo.com.